On the evening of 26th October, the President appointed a new Prime minister replacing the old Prime minister. The same evening the apparatchiks of the new Prime minister took control of the two state Television networks and Lake house. They lost no time in presenting the apocalyptic ambush of constitutional governance as a very ordinary happening- a mere change of the administration of the nation that will soon be ratified by a parliament where the new Prime minster commanded a clear majority. Other non-state-owned media outfits both electronic and print have also adopted a nauseatingly playing it cool, unbiased, uninvolved form of reporting and commenting that painstakingly avoids any opinions on the constitutional niceties of the president’s precipitate perfidy that undermined the 19th Amendment that drastically, diligently and doggedly reduced the discretionary dominance of the executive presidency. While social media reflected the deep divisions within society, the main stream media both print and electronic have admirably managed to defy the laws of gravity by its ability to peer in to the abyss of political chaos enwrapped in the oligarchic interests of their proprietors. JVP Parliamentarian speaking in Parliament on Friday, last week quite appropriately described the country’s mass media as ‘Kalu Madhya’ – a Black Media. In fairness we must say that it is not all black, but it is indeed largely black and that too in pitch black. Since 26th October we have seen a curious phenomenon. The news media and the Presidential Secretariat are embedded in a cynical game of self-abuse and resultant self-serving gratification. Journalists and politicians are engrossed in mutual manipulation in furtherance of their own interests. Manufacturing myths and shameless pursuit of self-interest is the best game in town. Sound bites and video clips create crises. They serve the excellent purpose of dramatizing false assertions of constitutional proprieties observed and integrity of intent by the principal perpetrator of the constitutional crisis- the President. When he asserts that prorogation of parliament is his presidential prerogative no one bothers to ask him for the distinct raison d’etre that required him to do so. The Presidential secretariat and main stream media organizations have collaborated in creating a giant spider that has ensnared the gullible segments of society dependent on traditional sources of information in to a symbiotic web of lies. It helps the media that is either unable or unwilling to report the truth and it helps the presidential secretariat to escape responsibility in creating and sustaining a power vacuum with a government that is unable to deliver credible governance. The news media and the so called government or non-government are complicit in creating a charade that serves their own interests but misleads the public. An illustrative instance is an interesting reference to a predicted development in parliament this week appearing in the political column of the leading Sunday broadsheet published in English and the Sunday morning must read of our nations’s literati, the cognoscenti and our political buttinsky – or busy bodies. It refers to a motion in the order paper by seven UNF parliamentarians – Wijepala Hettiarachchi, Harshana Rajakaruna, Mayantha Dissanayake, Mujibur Rahuman, Ajith Mannapperuma, (Dr.) Jayampathy Wickramaratne and Hirunika Premachandra. However, Clause 48(2) cited by the erudite political columnist in this Sunday’s commentary was in its pristine authentic original version. The original clause 48(2) even allowed the President to take over the functions of the Prime minster if the house was dissolved ‘until the conclusion of the general election. The mistake has since been corrected in the web version after one parliamentarian a signatory to the motion pointed to the error. But was it a genuine error? In these troubled times, suggesting such wild possibilities to an already befuddled presidential brain can be fatal. The mischief in the printed version is done. If we presume to claim wide wisdom on constitutional intricacies, we must at least have a nodding acquaintance with the constitution and its nineteen amendments. That would be an alternative far preferable to the flippant retreat to a Homer’s Nod in the current constitutional Armageddon! The Political columnist is well respected, learned and usually well informed of both the profound and the trivial. In this instance he is in error. The Article 48(2) he has quoted is not as amended by the 19th Amendment. The point I wish to make is significant. A few days ago, another trial balloon was hurriedly sent up with the mischievous intent of suggesting that certain clauses of the 19th amendment were smuggled in at the committee stage. That was pure hogwash published but unrepentant. There also appears to be some serious doubts in the astute mind of the political pundit on the TNA’s current stand on the current constitutional knock down and drag out. The idea that the TNA stands for the higher principle of a vibrant pulsating democracy seems too exotic to the practitioners of realpolitik. 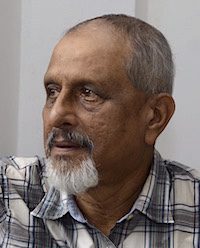 To this writer who has had the privilege of listening to the speeches of late Amirthalingam, Kadiravelupilai and Sivasithamparam on issues such as the setting up of Criminal Justice Commissions by SLFP’s Felix Dias Bandaranaike or JRJ’s move to strip Mrs. Sirimavo Bandaranaike’s civic rights , the principled stand of the graceful savant R.Sampanthan is only a continuance of the great traditions of Tamil parliamentary politics since independence. Politicians are manufacturers of their peculiar truths. But when serious journalists reproduce them as reports, they acquire their own prestige and power. Alas! There are no other words for it. They are fabrications. When public business becomes a fabricating process, the result is what we have today. It is the current culture of lies that starts early in the day when Television news anchors sum up the stories of the print media making distortion of truth a more finite science than quantum physics. Oh Sarath, we now are very familiar with such acts and catchy terms (coined for special purposes). We had a humanitarian mission with zero casualty where thousands of innocent civilians were butchered. We had Hampantota developed with the stolen money from humanitarian / Tsunami financial aid.We have magic formulas to bring the $ and oil price down which no other country is privileged. We live in a country like no other. And now we had this government change to save the country ,people and democrazy. How fortunate Lankans are???????? Bondscam Ranil and Mahinda Jarapassa must be held ACCOUNTABLE and share the same prison cell for looting the Central Bank, and their Financial Crimes against people of Lanka. Divide and Rule by external parties in strategic Sri Lanka which sits on top of deep sea cables, where 80 percent of internet traffic passes in this age of cyber war and fake news to undermine and asset strip small countries and peoples, by global capital bond traders and IMF-WB (who put small countries into debt traps) , and benefit the Global 1 percent and Trumpland deep state’s security interests in Indian Ocean is on going. Mr De Alwis thank you again for taking up an issue that has immense impact on the public. We are a gullible nation that reads. listens and believes what the media says coined up to facilitate its own agenda. At times it is sickening to listen to the news reports and talk shows of some electronic media channels. It’s the host that airs out his anger at an individual rather than even allow the guest speakers to put in a word reference the subject under discussion. The damage that these media outlets, print and electronic, cause to the public cannot be ignored. Some of these are pure political voices that mimic the falsification of facts and truth by some politicians of their choice. Why are news reporters and talk show hosts so servile to politicians that present blatant lies to the public with such boldness. Is it sheer ignorance and inability to see truth? Is it for scheap popularity and prestige? Or it seems personal vandetta and or revenvge at times. What ever it is, these individuals should be held responsible and accountable for their actions if we want our citizenry to be informed of facts so that they can evaluate situations for themselves and come to their own conclusions. Stop brain washing the populace with false hoods and twisted thinking. Having read almost all your typing in this forum I too was beginning to believe that all Tamil Politicians were/are racist, dumb, separatists, no good fellows. However please read the penultimate paragraph of the above article and explained to me as to why Amirthalingam, Kadiravelupilai and Sivasithamparam were different. Do feel free to compare MR, Windbag Weerawansa,…. with them. There are ‘sophiscated’ ways of promoting separatism, igniting racial hated, justifying terrorism, deploying child soldiers etc. LTTE had a political arm quite proficient in the art. They are now practising the same art in playing the victim and duping the UN. Anything else would you like to say add to this mature discussion? It won’t take you another one or two short lines. Is that why LTTE was defeated and destroyed in 2009. The LTTE too was clever for its own good, exactly like you and your fellow fascists, in thought, words and action. They were MP’s at different times. Amithalingam was the leader of the opposition in 1977. Apart from speaking on behalf of the Tamils, as leader of the opposition he was the only person who rushed to defend Srimavo against the Designs of JR. When Srimavo’s civic rights were withdrawn, if I remember right she was given a rousing welcome in Jaffna just to show the solidarity with her and make her raise up her Tail. Srimavo perhaps did no realize the folly when she was hell bent on withdrawing the civic rights of Upcountry Tamils and deporting them to India. In times of need Tamils stood shoulder to shoulder with the Sinhalese as at now, But all what they got in return from the Sinhalese is NAUGHT( 00000000000000). Not only 19A, Even 16A is ignored. I just highlight the relavant provisions of language of Legislation after 16A. Para 23 on Language of Legislation in the original 1978 constitution was amended in 1988 through the 16th amendment to the constitution and the Extract of the new Article 23 appears in the 1978 constitution after the 16th Amendment as follows. 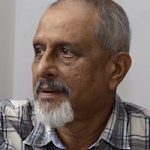 Thus after the enactment of the 16A, all legislation or constitutional amendments passed by Parliament invariably has a clause stipulating that in the event of any inconsistency, the Sinhala Text prevails. It is hereby noted that as per the new article 23, the parliament could declare that the In the event of any inconsistency the Tamil Text prevails. However this choice was never made use of by the Parliament after the enactment of the 16A. However, English Text is only a translation, it has no official recognition. There is a further improvement in the new Draft Constitution that was proposed by the Steering Committee, the corresponding provision is that the Language of Legislation is Sinhala, Tamil and English and in the event of any inconsistency all three language texts shall prevail. Dayan Jayetillake should read the Hansard relating to his father Mervyn De Silva when he was hauled up in Parliament by JRJ. The TULF led by Amirthalingam took the Principled stand of defending Mervyn on the basis that Parliament should not usurp the role of the courts. De Alwis, I have only one thing to say to you. Bloody Anglican (Henry VIII) cult has always sought to destroy Buddhism through lies (1815), favouring non-Buddhist minorities economically and through other under hand activities. Your morality cloak is another version of the same thing. We take pleasure in the fact that days are numbered. Aren’t they? Dharmadasa, that wasn’t “one thing”, that was three! Anyway, to answer the “bloody Anglican” one – no one needs to “destroy Buddhism” as the BBS is doing a pretty good job of it, not to mention the other fakes clothed in robes and into garnering power and wealth. This (above) would nullify that abstruse “morality cloak” version of yours. Whose “days are numbered”? Just clarify please. Why all these references to Henry VIII by people addressing Sarath de Alwis? Henry VIII destroyed the catholic church and stole its money in England but let the nobles mostly retain their wealth. Bandaranaike destroyed ceylon nobles and stripped their wealth through nationalisation. And created a rentier class which persists today owning arrack and banking licenses. The last trick of the rentier class to build casinos came unstuck courtesy Sobitha RIP. So it was the Anglican turned Buddhist banda and his faithful slave Sirisena who destroyed Sinhalese wealth. Mr Sarath De Alwis, who are you? Are you Sajith’s cat’s paw? disgusted with these culprits that I have stopped worshiping the, going to temples or attending any other ceremony connected with the faith that I was born into and bred, although my elder brother was a respected Buddhist priest who died some forty years ago. My elder sister’s son is a Nayaka in Pasdun korale. I do not visit sim now. In a letter that I have written to my children, I have said among other things that my dead body should be handed over to the Medical College and that they must desist from giving PANSA KULAYA also. Now the latest antiques of the saffron brigade of both the divide is to chant pirith. Even at the inaugeration of the collection of signatures calling for a general election the GAL priest Ananda started reciting pirith. It is better to be than continue to be a Buddhist with these culprits in robes. It is better to be an atheist than continue to be a Buddhist in this epoch of disbelief and untruth.. BUDDHISM IS NO MORE FOR GOOD PEOPLE. I can understand your dilemma..
You must realise that the present forms of practices in Sinhala/Buddhism is a new kind of political religion, identity, …… of lost people/elites who invented and promoted the new identity of being “Sinhala/Buddhist” in order to further their own interests. Sinhala/Buddhism has nothing to do with Buddhism which was taught by the awakened one. You need not to confuse yourself with political Sinhala/Buddhism and authentic Buddhism. You probably wished to say that the Current version of ‘Sinhala/Buddhism’ is not for Good People! You are almost there Sarath ………you’ll soon pass Thisaranee in writing pathetic one sided rants….Sad. They both are masters in the art of exaggeration. A totally concocted lie can be countered, disproved. But it is very difficult to deal with exaggeration based on a germ of truth. I have been closely following Sarath’s writings recently (earlier I liked the Rascal). The man detests Ranil badly. Buggar wants Ranil out. This led me to believe he is Sajith’s cat’s paw becasue useless Sajith is determined to rise to the UNP leadership plus PM post. WATCH OUT for what he writes. thanks. What do you want? If it is a separate homeland for all Tamils (Tamil speaking people irrespective of their religion, caste or the date of arrival) ) we can agree. If it is the right to live anywhere as equal citizens like 50+% already do we can agree. We CANNOT agree for BOTH. You have to choose between one or the other. I always beg behind my Tamil brothers and sisters to choose the latter option.